The Behlool Easter Camp 2016 is back for the fifth time and it’s bigger than ever! 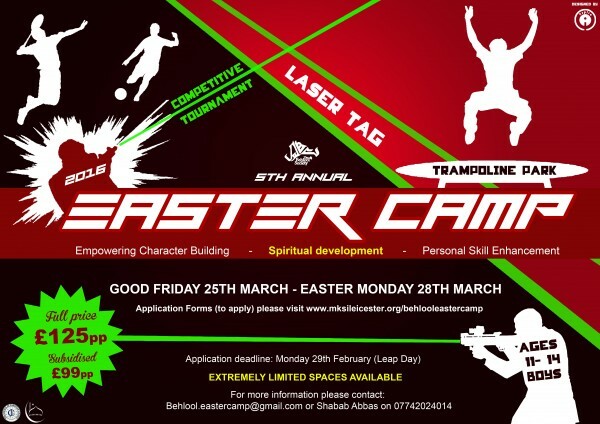 Taking place on Bank Holiday Weekend: 25th of March to 28th of March 2016, for Boys Aged 11-14. With the ethos of the camp being Empowering Character Building, Spiritual Development and Personal Skill Enhancement, we aim to give participants a memorable experience, the chance to make lifelong friends, enhance their spirituality and an opportunity for them to develop their potential from a young age. 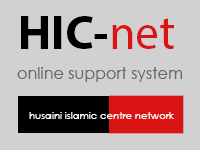 So, whether you want to increase your Islamic Knowledge, or learn new skills, like debating, creative writing and public speaking or whether you just want to enjoy the holidays and take a break from homework and school life. 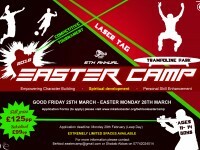 The Behlool Easter Camp 2016 is definitely for you! The camp will bring together various elements such as: Interactive Workshops, Leisure Activities, Insightful Debates, and Enriching Team Building Exercises, delivered by highly esteemed speakers and mentors. There’s so much fun to be had, bouncing around a spacious Trampoline Park which includes Games such as; Dodgeball, Basketball and a Great Foam Pit! Not to mention, Laser Tag! Football! Badminton! And also Gaming Tournaments! An event not to be missed, so fill out an application form before Leap Day – 29th February 2016 to avoid disappointment, as we have extremely limited spaces available. To apply, see updates, last years gallery and our profiles please visit www.mksileicester.org/behlooleastercamp and our FB Page or contact Shabab Abbas on 07742024014. Please share this with your younger siblings, family, friends and community members.